As one of the best Encino cosmetic dentist, Dr. Matian completely understands the importance of looking your best and leading with a natural, confident smile. Dr. Matian and the entire Bio Dental team provide a complete array of cosmetic dentistry procedures and services to help you achieve your goals. Whether you need a single veneer or an entire smile makeover, find out why Dr. Matian’s patients say he is the only person they trust for their cosmetic dentistry needs. One of the easiest and fastest ways to improve the appearance of your smile is through whitening or bleaching your teeth. Bio Dental provides safe and effective treatments both in our Encino office and through take-home whitening kits. Whether you have experienced discoloration as a result of aging, trauma, grinding, food or beverage stains or simply want to have a whiter, brighter smile, Encino cosmetic dentist Dr. Matian and his team will help you get professional results. Bio Dental offers one-hour whitening in our Encino dental office, professional take-home whitening kits and combinations of both. See your smile improve up to 8 shades whiter in just one hour through professional tooth whitening in a safe and comfortable environment. 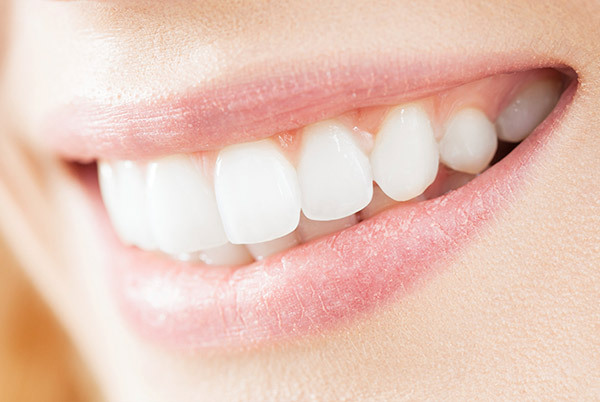 Custom at-home whitening trays can be created directly in our Encino office as well and are worn daily for 10 to 15 days with a moderate concentration of professional bleach. Bio Dental also offers a combination of professional in-office cleaning and at-home custom whitening trays for those who are seeking real results which that may not have been able to achieve previously. If you're looking for a top cosmetic dentist in Encino to help you with your teeth-whitening needs, look no further than Dr. Matian. Ask about our “White for Life” program, where we provide free whitening gel at each routine cleaning for long-term whitening maintenance. Porcelain veneers are a leading choice for those who would like to dramatically improve their smile through changing the shape and color of their teeth. Encino cosmetic dentist Dr. Matian and the BioDental team have improved more than 1,000 smiles with porcelain veneers and focus on keeping your original teeth as intact as possible, for a reversible and painless process. Dental veneers consist of sculpted pieces of porcelain that adhere to your natural tooth, allowing your dentist to create a natural, aesthetic smile that can significantly improve the appearance of your teeth and bite while still remaining in proportion to your face and comfortable. BioDental offers DURAthin Veneers and Lumineers. DURAthin Veneers are an excellent choice for those seeking to keep their underlying teeth intact. They are known for allowing the cosmetic dentist to ensure a natural result that does not look too large or “done.” Lumineers are also usually reversible and can last up to 20 years or longer. They are merely 0.2 millimeters thin—about the thickness of a contact lens. We are also proud to offer veneers in a single visit. Using CEREC technology, BioDental can produce veneers directly in our Encino office, perfect for the patient on the go who prefers one visit to multiple visits and a beautiful result. Today, dental implants are a premier choice for replacing missing teeth. They are more durable and more hygienic than bridges or dentures, while also being more attractive and comfortable in most cases. The reasons for these benefits are due to the fact that implants do not rely on nearby teeth for support and more closely mimic the shape of an actual tooth, allowing for regular brushing and flossing as well as natural gum stimulation and bone stimulation of the jaw, which are all important for optimum, long-term oral health. As a board-certified periodontist and top implant dentist in Encino, Dr. Matian and his BioDental staff have extensive experience in providing state-of-the-art and metal-free dental implant options. BioDental even offers all-ceramic Ceraroot implants, which avoid any metal toxicity or allergy. For those in need of veneers, crowns, inlays or onlays and who would prefer just one visit, Dr. Matian can manufacture custom, high-quality porcelain restorations directly in the BioDental office in Encino, California. 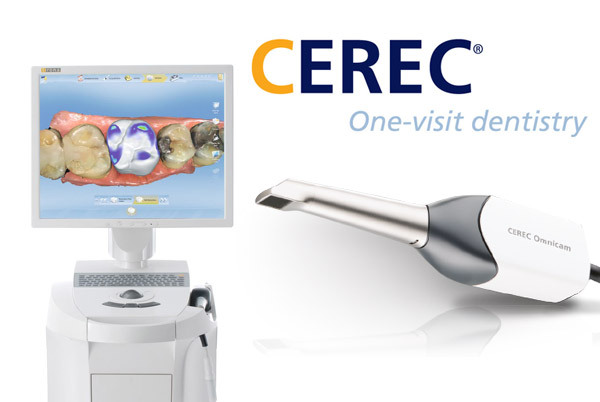 Through the use of CEREC technology, which combines chairside state-of-the-art digital modeling and milling processes, many patients can avoid multiple appoints due to external lab timelines. Additionally, the ceramic materials used are more biocompatible and possess a natural aesthetic quality for an overall healthier and more beautiful look. Simply walk into the office of top Encino cosmetic dentist Dr. Matian and walk out with a new smile—all in just a few hours. Would you like a brighter, more aesthetic smile without the investment of long-term veneers or other more invasive dental work? 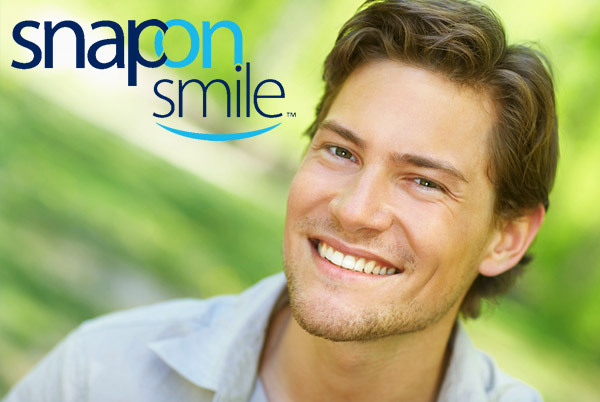 Snap-On Smile is a patented smile solution that is painless and comfortable and involves no shots, drills or adhesives. It fits comfortably and snugly over your natural teeth and can be worn all day, through meals and all your normal activities. Snap-On Smile is an excellent choice for those who would like to correct gaps, hide missing teeth or resolve cracked, stained or discolored teeth. Encino cosmetic dentist Dr. Matian is one of the select dentists in Los Angeles who offers the Snap-On Smile. Request a consultation to discuss your options and see if you are a candidate for this reversible, non-invasive and affordable approach to cosmetic dental work and see why patients who already have a Snap-On Smile rave about their results. You may be ready for straighter teeth but the idea of traditional braces is understandably unappealing. They can take years to produce results and are very noticeable to those around you. 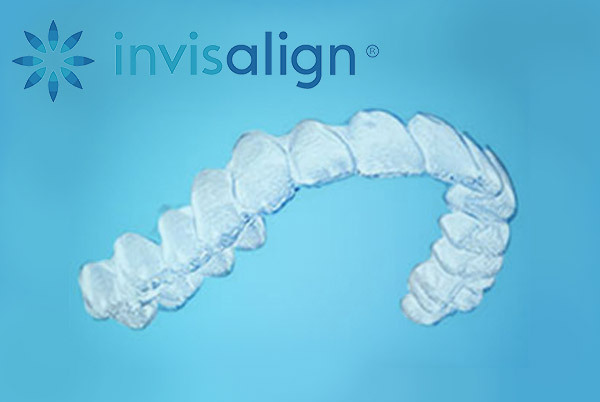 As a top Encino cosmetic dentist, Dr. Matian is proud to offer Invisalign to adult and adolescent candidates with teeth arrangements that can be improved with the gradual and inconspicuous Invisalign procedure. Unlike metal braces, the Invisalign process involves a series of customized transparent aligners, each worn for a period of weeks. Results can usually be achieved in a few months to a year. ClearCorrect is an invisible and clear teeth alignment solution that provides an effective alternative to metal braces for those patients who are candidates to benefit from clear aligners, including those who have extra space between teeth and teeth that are not severely crooked. With ClearCorrect, you will have frequent checkups with your doctor to ensure that you are achieving your smile goals and aligners can be adjusted as needed to ensure that you are target to accomplish the milestones you have set with Dr. Matian. Aligners are worn at all times except for when eating and performing dental hygiene, include flossing and brushing the teeth. It is this flexibility that allows allows invisible aligners to be more hygienic and easier to maintain than traditional braces. ClearCorrect can offer a clearer and more affordable alternative to other methods of straightening teeth. 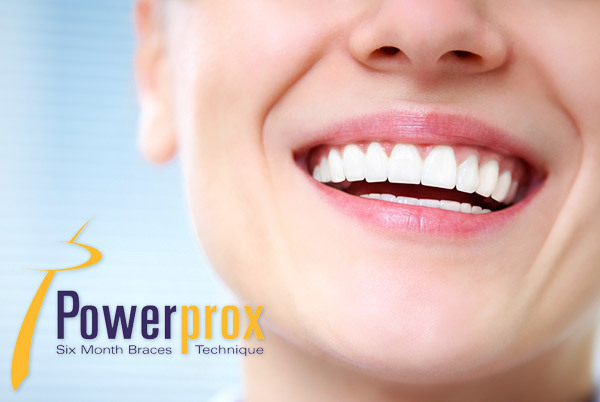 Powerprox Six Month Braces use a unique technology that consists of a series of gradually thicker wires to align crooked teeth and correct gaps. Because of this process, Six Month Braces are less painful than traditional braces and get results faster. These braces also use clear brackets, making them much less visible than traditional metal braces. You may also be a candidate for lingual braces, which sit behind the teeth instead of on the exterior surface. If you are considering veneers to enhance the shape and appearance of your smile, Six Month Braces can provide the alignment necessary to provide a straighter base for your veneers. Cosmetic dentist Dr. Matian and the BioDental staff in Encino can help you avoid years of wearing traditional braces with Powerprox Six Month Braces. If you're looking for a top cosmetic dentist in Encino, call our office today and find out more about how we can help you!